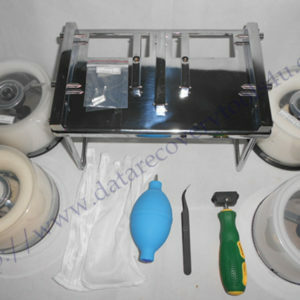 DFL-WD II hdd repair tool offers the users options to repair WD USB hard disk drives. 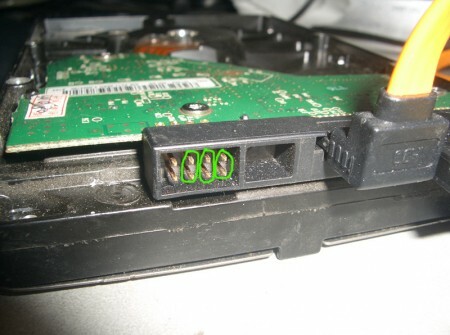 This article gives you the general idea of what functions are available with USB hdds. 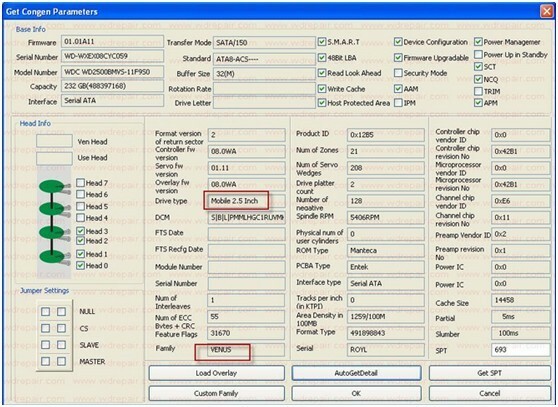 DFL-WDII offers two channels: ATA and USB channel. 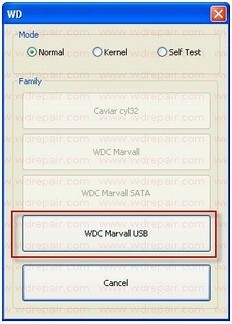 For WD USB HDDs, users need to select USB channel. 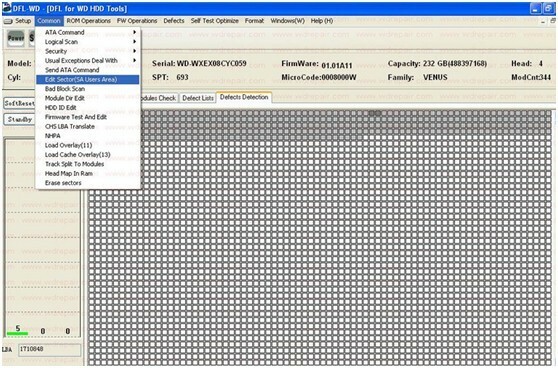 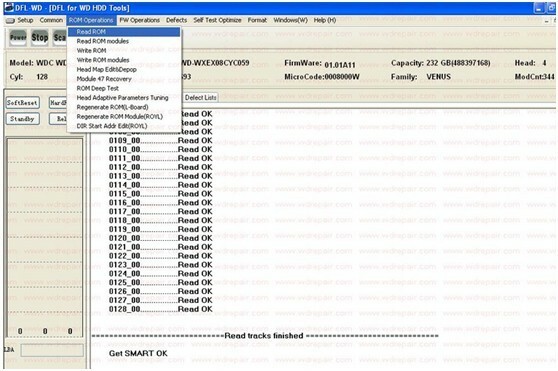 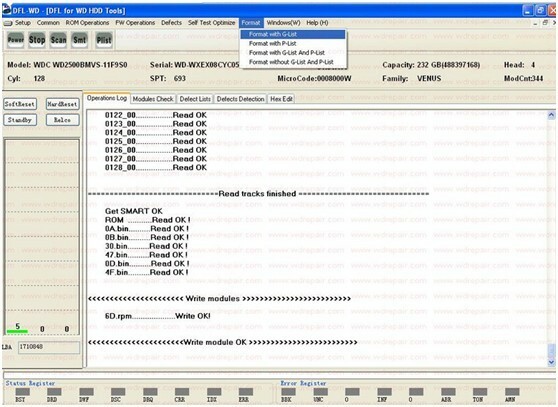 For USB hdds which can be detected and become ready in DFL-WDII, for WD USB hdds which have had PCB swap from USB interface to SATA interface or which have been converted from USB interface to SATA interface. 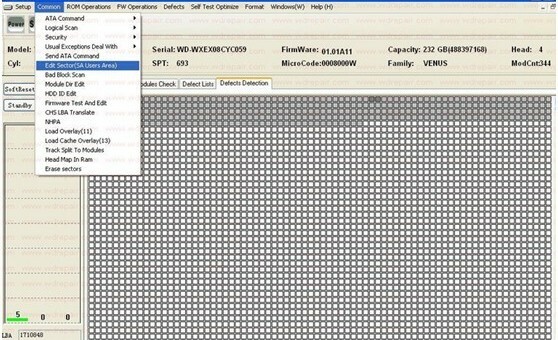 The program detects the USB hdd ID details: Venus, 2.5” laptop HDD. 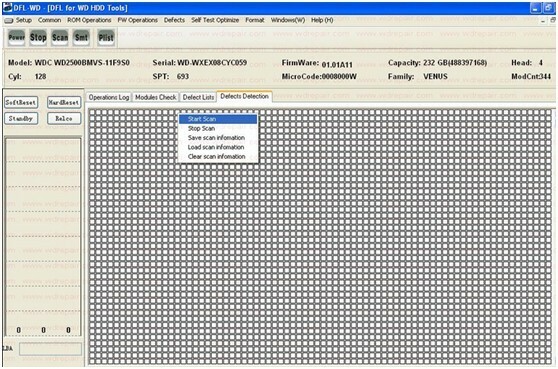 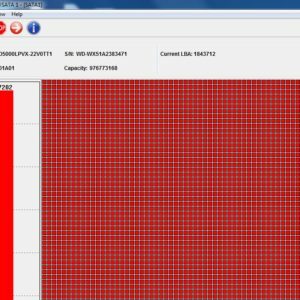 When the firmware failure is fixed and WD USB hdds are restored, users can use DFL-DE data recovery tools to image the hdd or scan the lost files and recover them selectively.